Quentin joined the Encevo Group’s Venture Capital team in 2016. Encevo is a Luxembourgish based Utility with an investment focus on Digitalisation, Decentralisation and Decarbonisation. Areas of interest include amongst other topics Smart Cities, Smart Buildings as well as Smart Grid. 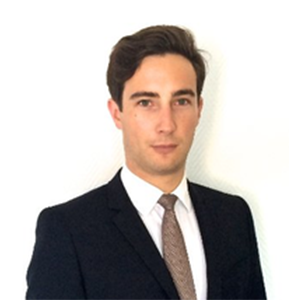 Prior to joining Encevo S.A., Quentin started his career at the European Investment Bank, in the Innovation Finance Advisory Division. He holds a Master Degree from ESC Rennes Business School (FRA).